Well, what a crazy few months it has been for me. I haven’t done an update for the Life Cycle series for ages and there is a reason for that. I had been waiting to do mine until I was able to share some incredibly exciting news with everyone, however, that time hasn’t come yet and I cannot put it off any longer so I am doing my update now. So, what have I been doing with my time recently? As some of you know, I am juggling studying for a degree alongside my wrting journey. Over the summer I completed my first year and passed (hoorah!) and have since begun my second year of study. I am studying Early Childhood Professional Studies at Anglia Ruskin University and totally loving it. Being at university is a lot harder and a million times more stressful than I ever thought it would be. Don’t get me wrong, I was aware that I had signed up to a degree course so I knew it would be challenging, but as a mature student (yes, I know, at the ripe age of…30?!) I not only had to study for my degree, but I felt I had to learn how to learn again – how to retain information after being out of education for 11 years and not using that aspect of my brain. It was hard. But in my second year I feel I am slowly getting there. I am loving using my creativity for my projects – although academic writing is SO hard compared to creative writing and I don’t think I will ever get to the stage where that style of writing comes as natural to me as writing a fictional story. I have a great year group too which makes the journey that much more enjoyable. I also ran for Course Representative for my year group and was elected by my peers which was a huge achievement and a very emotional moment, knowing I had the full support of my classmates – so a huge thank you to them. Throw in some committee meetings etc and I have managed to make my university experience much busier (but ten times more rewarding). Alongside university, I am also writing my books and attending writing related events and experiences. I have recently enjoyed author events meeting some fab writers and catching up with my writing buddies at things such as the RNA Conference back in July. Lastly, I feel I should acknowledge the fact that I did sign up to NaNoWriMo this year with the view to getting the first draft of my next book idea down. How I thought I could fit in 50,000 words of novel writing in a month which saw my daughter turn 10 (with two sleepover parties and a bedroom make over to do) and at a time of the year where I had TWO presentation exams to prepare for and present at university. I love a challenge, but I think this was one step too far and I had to admit defeat and say that it was not going to be achievable. In life, it is good to set yourself challenging goals, but sometimes, the best thing to do is to know when to say enough is enough and take it back a step. Saying this, I finish university for Christmas in just a couple of weeks and I have the whole of January off so I have a clear 6 weeks of full time writing to settle down with – with a little writing retreat thrown in too – so I just had to juggle a few tasks to that time instead of running myself into the ground. Sometimes life just needs to have a jiggle round – everyone loves a jiggle from time to time! So there you have it. Whilst it may seem like, at times, I am quiet on the writing front, it is most definitely not the case. And once I can reveal more, all will become clear. Good morning Giselle, thank you so much for coming onto our blog to share the news of your fantastic new novel, Dear Dad. I was very lucky to have been one of the people you selected to read Dear Dad a while ago, but for those yet to read it, can you tell us a little about it? 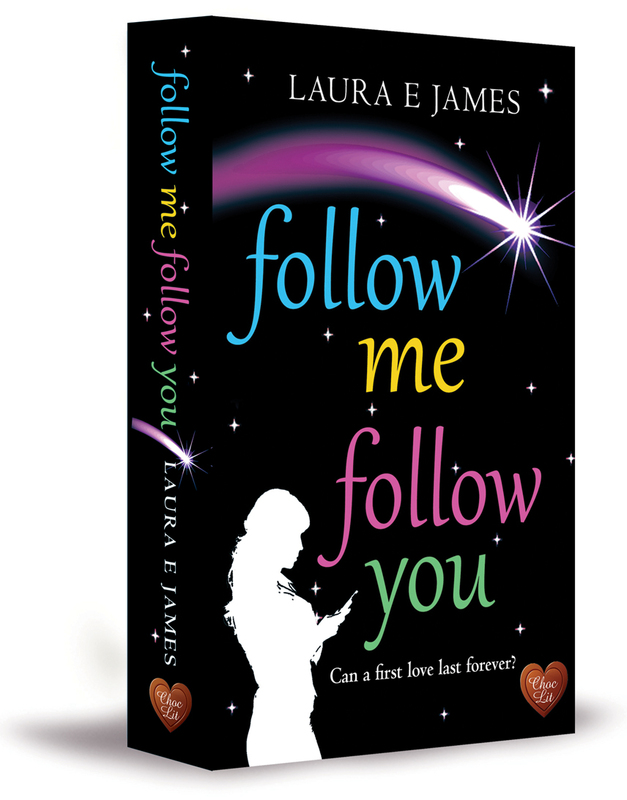 Thank you for reading it, Lucie! 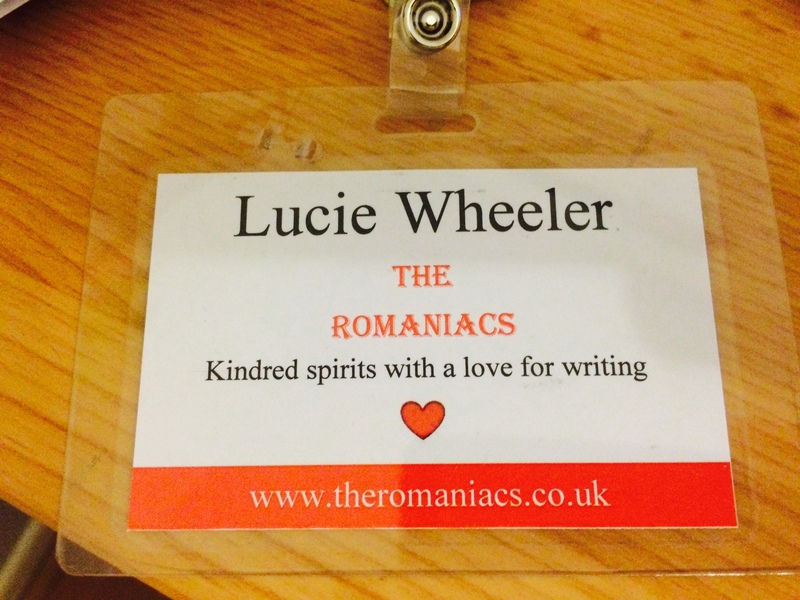 And thank you for inviting me back onto the Romaniacs blog – it’s my pleasure to be here. Where did the idea come from? Do you choose themes to craft your books from or do you let inspiration lead? It’s true I’ve had large themes very much in the forefront of my mind in the past (e.g. Hope, faith and Charity, Justice). For this book, the theme was there all along but it was only after I finished it that I finally recognised what it was – kindness. On a more mundane level, I wanted to talk about ‘Dads’ – I’ve spoken about the role of Mums so often in the past. I wanted to talk about people who take on the fatherly role even when they weren’t the biological dad. I also wanted to say something about the social isolation so many people seem to suffer from. Even though we’re living on a planet that’s more densely populated than it’s ever been, loneliness and a sense of isolation are endemic. Those are things that can affect anyone – even previously popular, outgoing, successful people like Nate. He falls from a great height. When we first meet him, he’s got this sense of shame, of having somehow ‘failed’, but it’s only when he reaches out in compassion to someone who’s even worse off than he is, that he can start to find healing. Dear Dad deals with some very real and very heartfelt issues, was it difficult to write? Some of the issues in Dear Dad are a little heart-wrenching – the issue of child carers who go unnoticed in the system, for one. Not because there aren’t the mechanisms in government to help them, but because half the time they simply aren’t picked up. It’s a catch-22 situation for some children – they have no advocate, and because they have no advocate, they don’t get ‘seen’. How did you get into the mind-set of a 9 year old? Did you have help from any children? That’s a great question Lucie – I really have no idea where Adam’s mindset came from. It was just … there, automatically. Of all the characters in the book, this vulnerable, savvy 9-year-old arrived the most fully-formed and I loved him from the word go. He was so easy to write that when I finished, I didn’t want to leave him behind. I have had six boys myself, as you know, so maybe I unconsciously drew on some of them, when it came to what it ‘felt’ like to be him. I also had some friends with children of about the right age read through to make sure the ‘Adam’ scenes were true to the age group – you are one of the people I must thank for your input in that department! 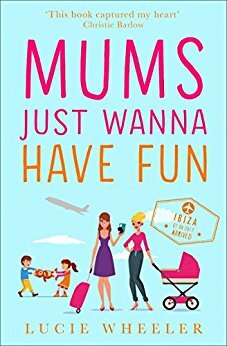 Without giving anything away, was there any part of the book in particular that you found difficult/fun to write? I had so much fun writing the Nate-Adam scenes! They were my favourite ones to write. In those scenes, despite the pathos, I was able to bring a little humour and lightness into my story – something I have been wanting to do for a while. The scenes which show Nate’s agoraphobic tendencies were tougher. There was the question of actually ‘getting into his head-space’ while I wrote his point of view. For about a week I will confess I felt a bit breathless and reluctant leaving the house – which I put down to being in Nate’s mindset at the outset when he’s really stuck. It wasn’t very comfortable. How long did it take you to write Dear Dad, from concept to finished novel? Do your writing journeys differ from book to book? I had the concept two years ago. I just wasn’t ready to write it then. My initial attempts to get into it threw me back on the realisation that I still had a lot of decisions to make. For instance – was it a father-son story, or a love story, at its heart? I really only got going with it properly this year, so I would say it took a year to write, but maybe six-eight months to get my internal bearings with it. For anyone who is yet to read your books, how would you describe your writing style? Do you think this has differed at all from your first releases? While my writing style is evolving (see last answer), my voice remains essentially mine with every new book. That means that – although I may reach out to pastures new stylistically – the ‘person’ and the sentiments behind all my stories remains recognisable from one novel to the next. An author can play around with style and genre but they can’t alter who they essentially are. That said, I write first person present tense, and up to now it’s always been from two different characters’ points of view. It can be a pretty intense and ‘close-up’ way of getting into the character’s heads. The reader gets to know them pretty well. However, I made a deliberate choice to use less introspection in this novel, and concentrate more on what the characters were saying and doing. DEAR DAD has a different timbre to my previous novels, it’s true. It’s lighter and – while it does deal with some dark subjects – they’re not dwelt upon. That was part of the charm of writing about a child. There is something so compelling and magical about the way that children think. Have you began to think about the next project to work on or do you give yourself a well-earned break in between each piece of fiction? I do like to give myself a break. It’s easy to let yourself become exhausted, otherwise. I’m on the look-out for people and places, tales of people’s lives, and pieces of music that move me and so on, though. What is your favourite way to celebrate finishing a book? I like to give a launch party. Proper party-style, with flowers and fizz and balloons and friends. I haven’t done one in a while, so when the paperback of DEAR DAD comes out in the summer (around June) I plan to do one this year. For those of you wanting to know more and/or purchase Dear Dad, here it is! Thank you so much, Giselle. On behalf of the Romaniacs and me, we would like to wish you every success with Dear Dad – I hope everyone enjoys it as much as I did.